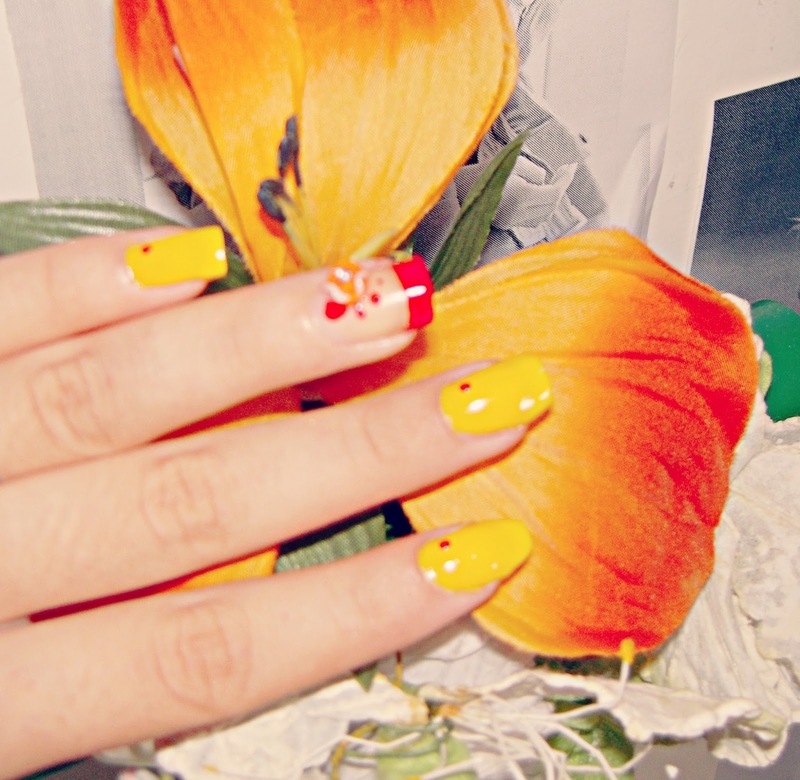 Yellow is sunny, warm and beautiful. 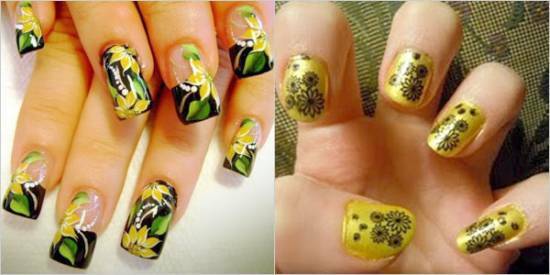 Many women would love to experiment with yellow nail art. 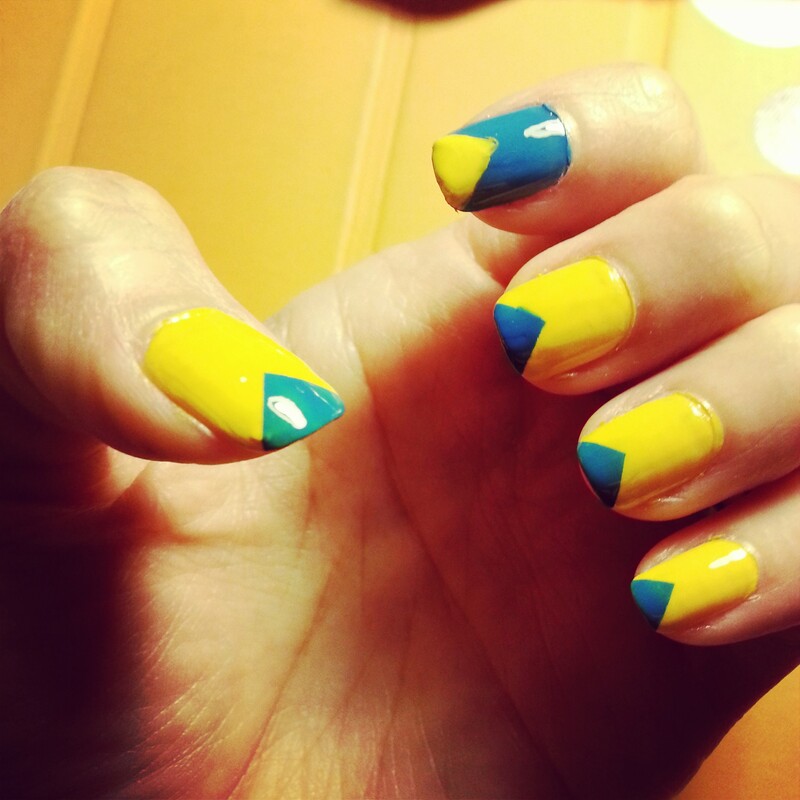 However there are times when you might just not know how to go about painting your nails yellow without looking too awkward. 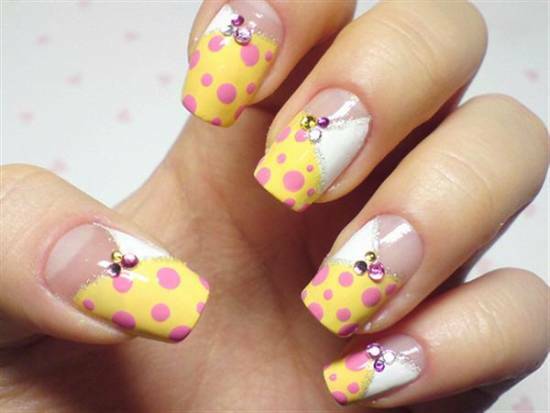 The first thing which you should keep in mind is that yellow is a really lovely color. 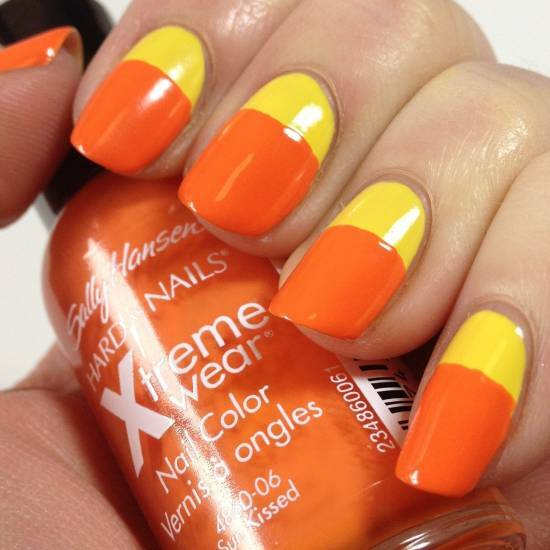 There are so many hues and shades, from the lightest lemon to the more bold and defiant tangerine shades. 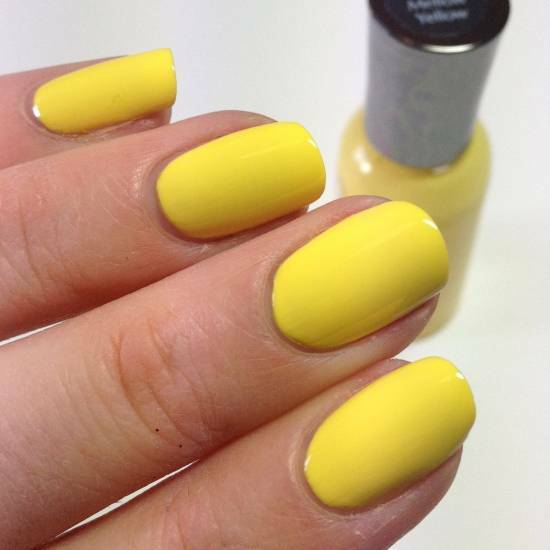 There are shades which can suit just about every skin type. Yellow nail art on a set of well manicured hands and feet can be a real head turner. 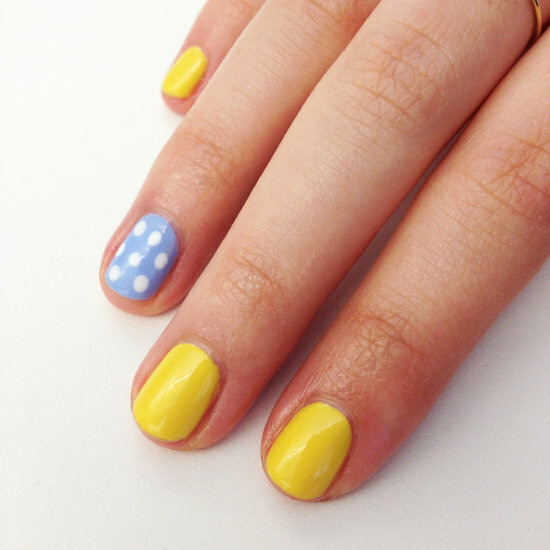 Whether you want to experiment with light or dark shades is completely up to you. 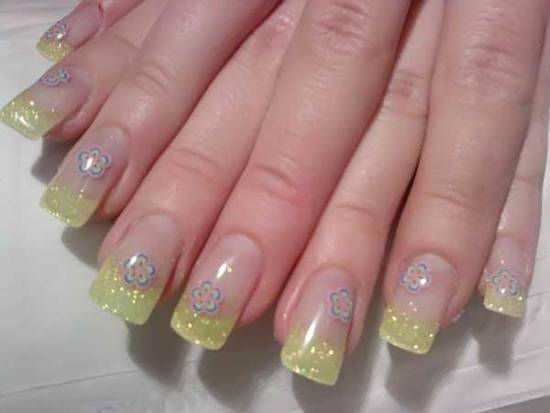 The beauty of yellow is that it’s bright and cheerful. 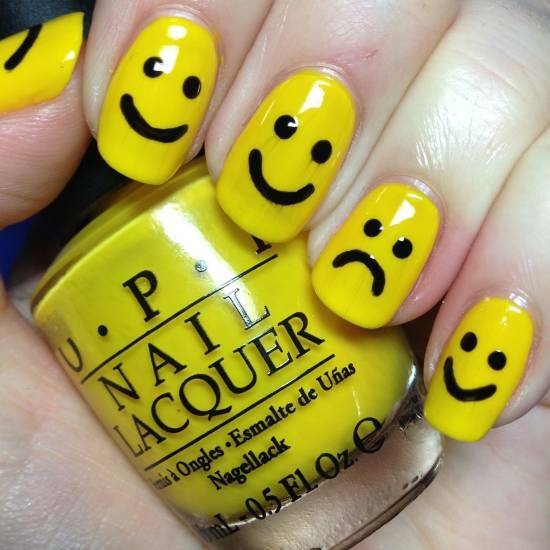 It can lift your spirits and make you feel optimistic. 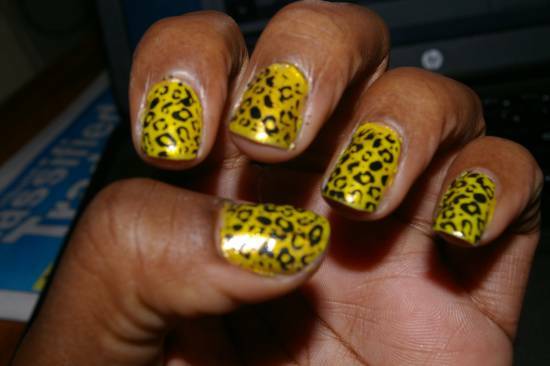 There is just not one way to go about with yellow nails. 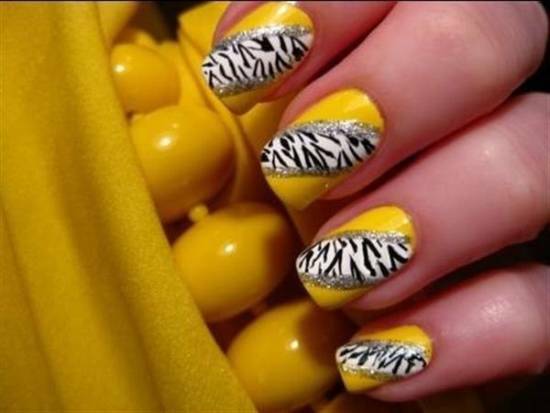 You can be creative, bold, subtle and graceful with yellow. No two women would agree upon the same shade of yellow and that is the real beauty of a yellow nail color. 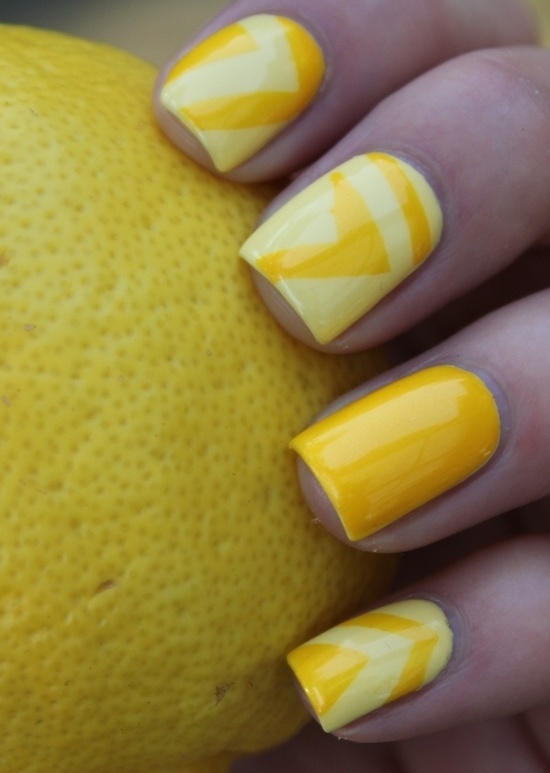 Some might prefer the more luminous hues while others love the sun kissed look of yellow. 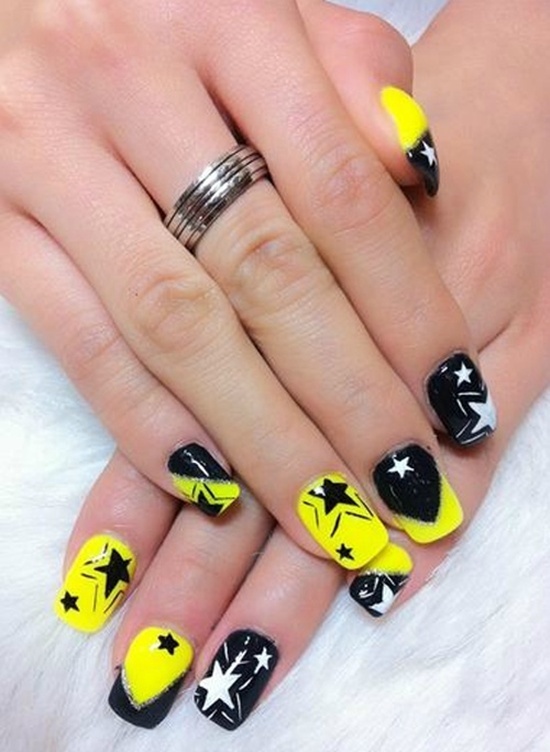 Whatever designs you might have in mind, sporting yellow nail art can send out positive vibes. 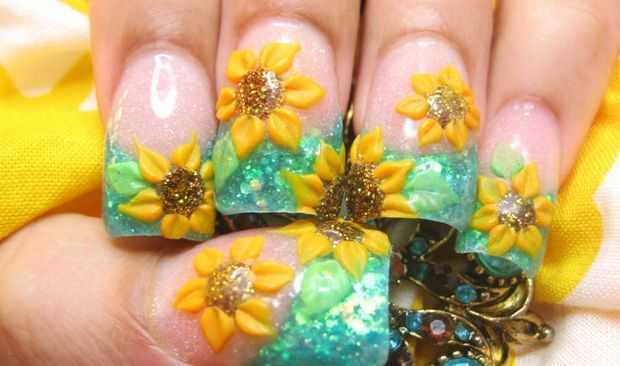 It can get you attention and what’s more you could also become a source of envy for all your girl friends. 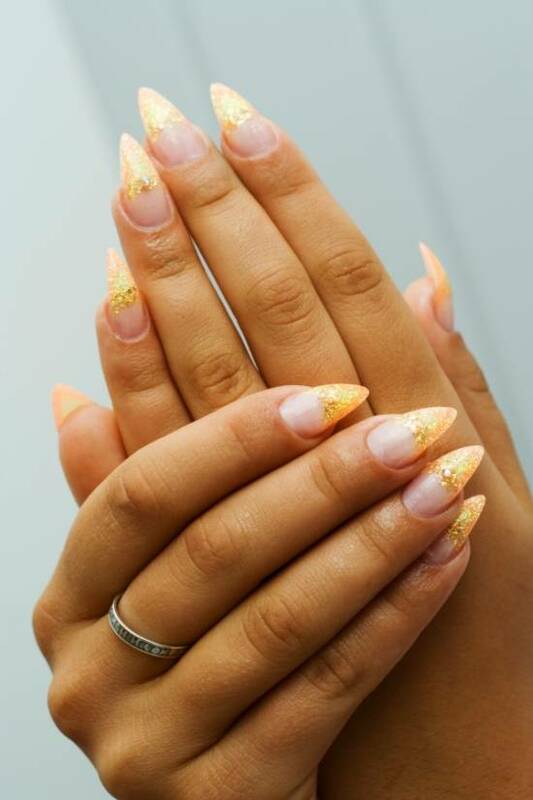 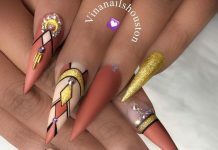 So go on and be a bit more adventurous with the daring yellow colors or simply radiate sophistication and grace with ombre designs for yellow nails. •	Make sure you have well manicured nails. 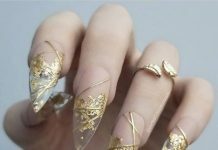 The reason for this is that yellow can be a real attention grabber so uneven cuticles and rough edges might tend to show out more. 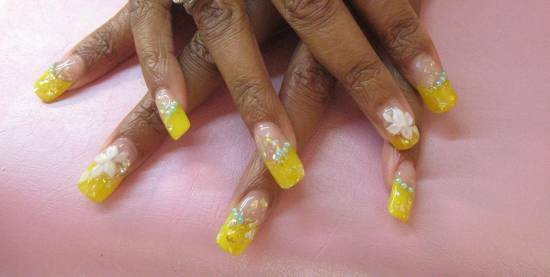 Also yellow grabs a great deal of attention towards your feet too so make sure your toes are waxed and toe nails well cut. 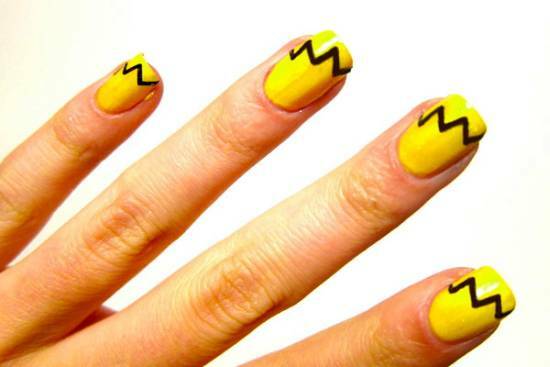 •	Choose a proper shade of yellow. One which complements your skin tone. 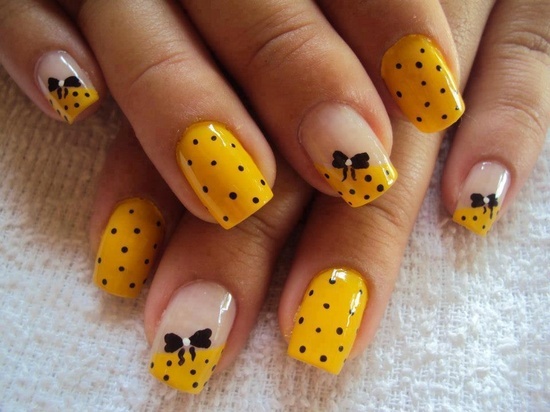 Women with dark skin are lucky enough to carry all hues because yellow brings out their lovely tan. 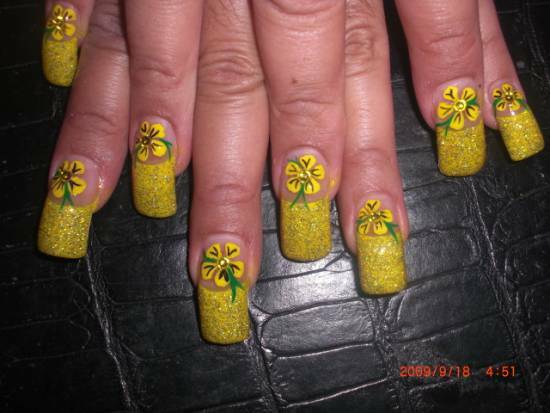 However those with pale skin might need to pay more attention regarding which shade of yellow looks best on their hands. 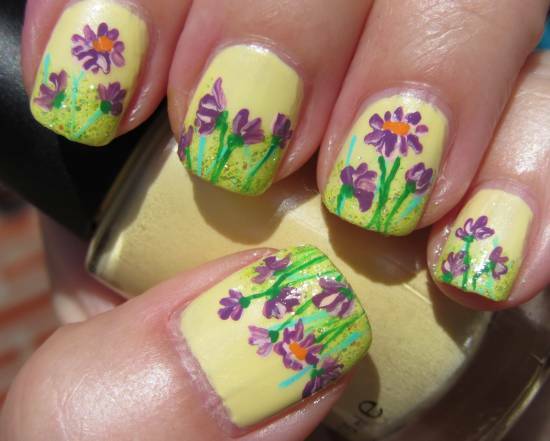 It’s a bit of a trial and error but something which you can achieve while having a leisurely walk down the cosmetic aisle of your local supermarket. 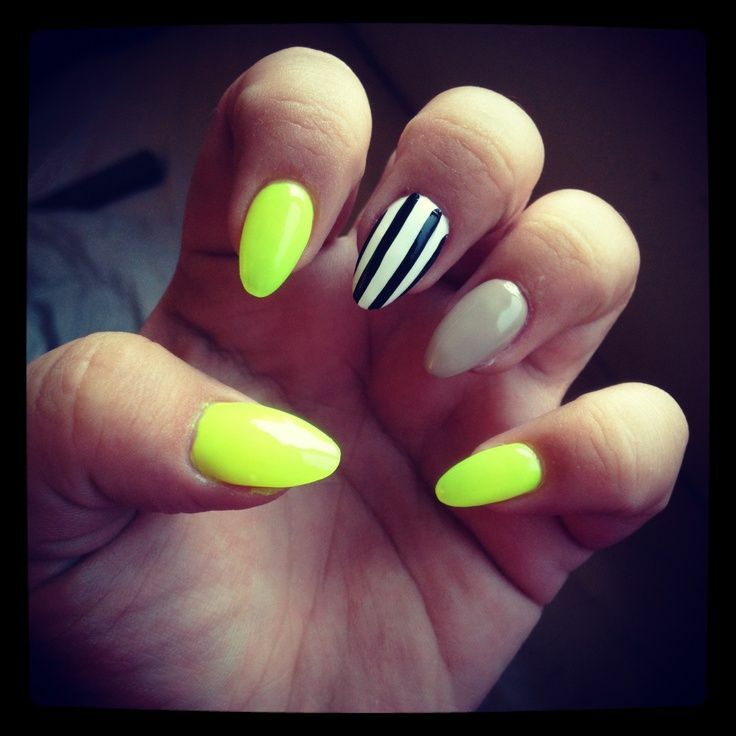 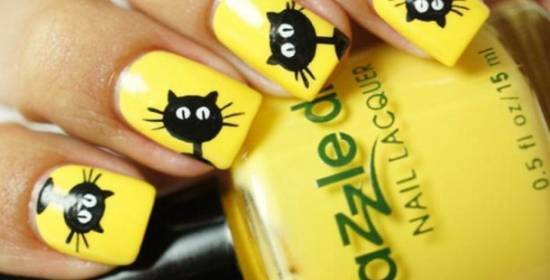 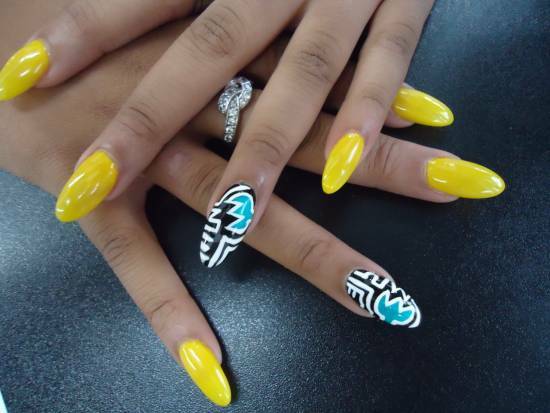 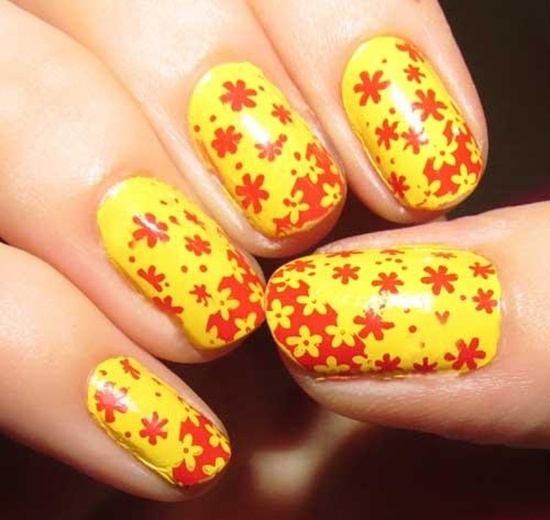 •	If you choose a very bright hue of yellow nails just make sure that you go easy on other designs or stickers. 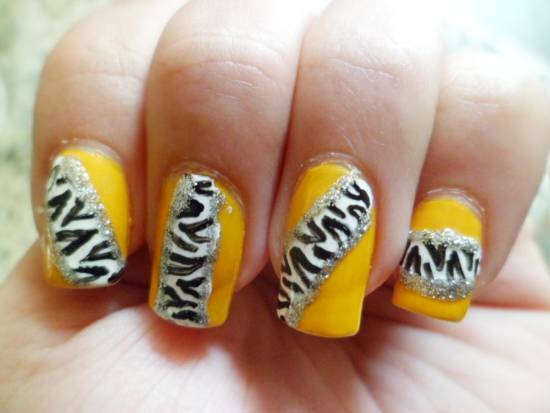 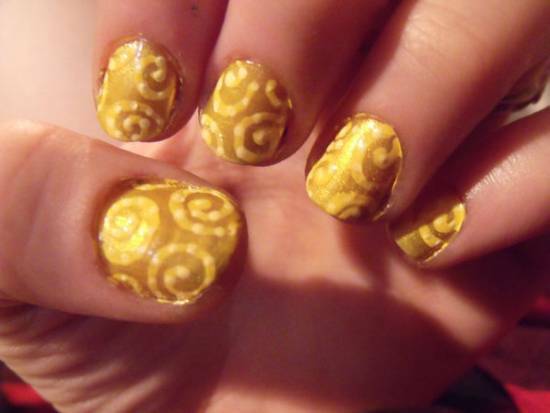 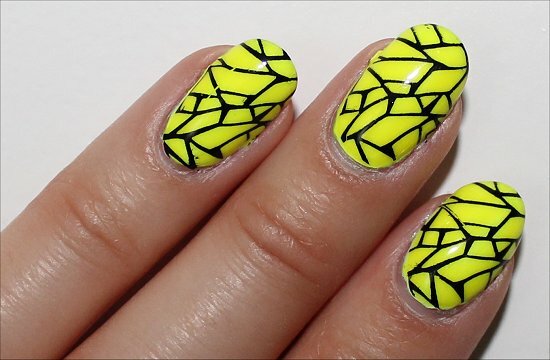 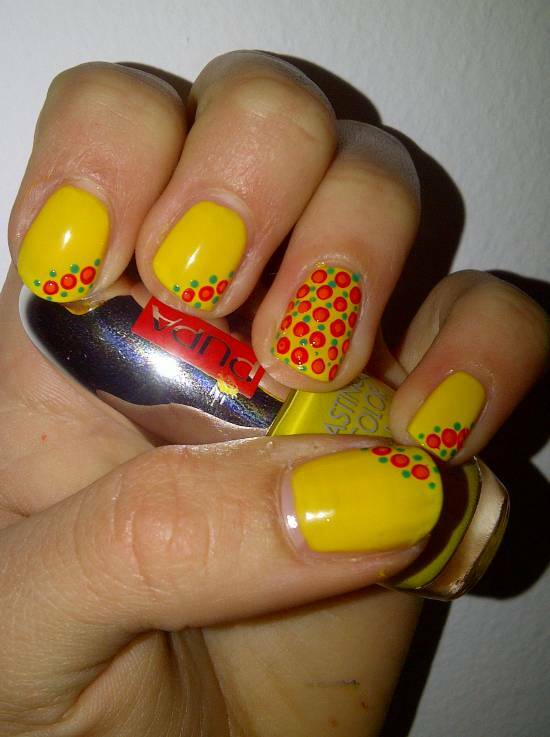 With bright yellow you can use a subtle sort of nail art. 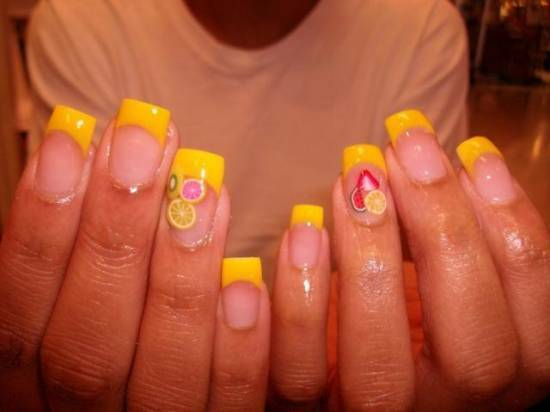 Subtlety goes a long way. 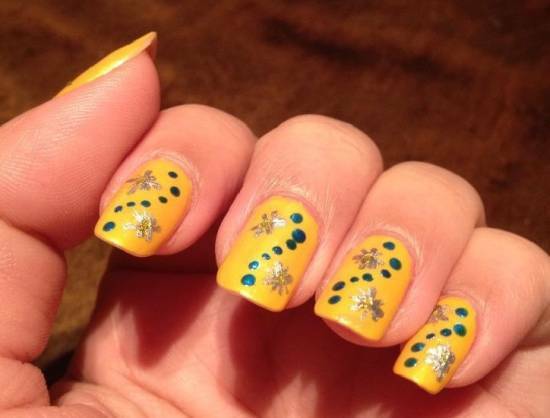 •	With pale yellow shades you can afford to be more adventurous and go with sparkles and stick ons too. 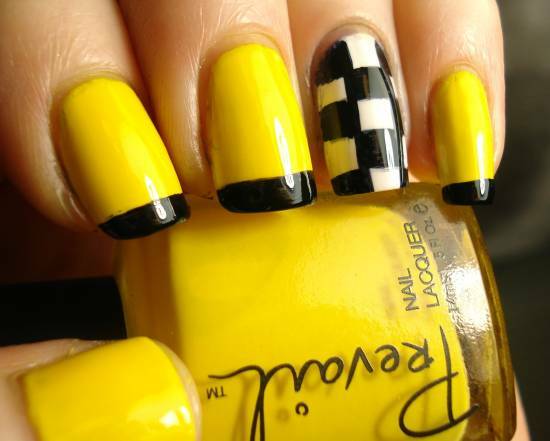 •	Try to pair yellow with other colors as well. 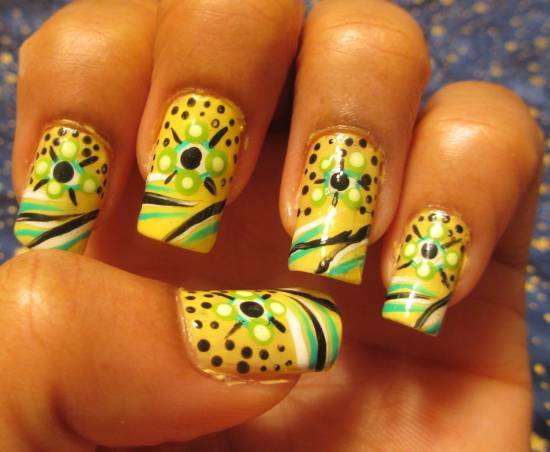 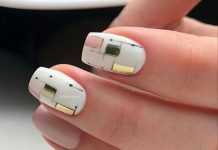 It tends to break the monotony of same shaded nails and also looks quite attractive. •	Go creative, be daring and be bold. 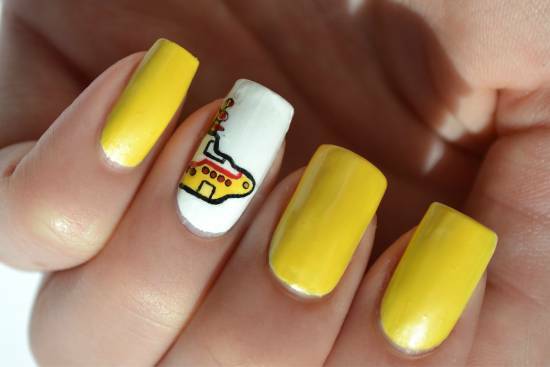 After all that’s what the color yellow is really about. 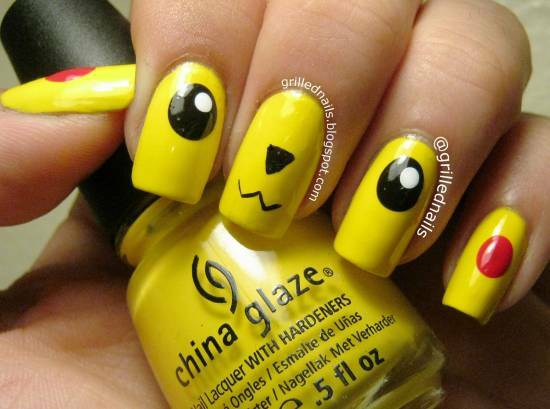 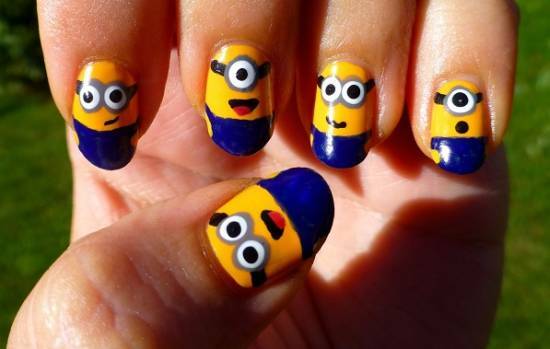 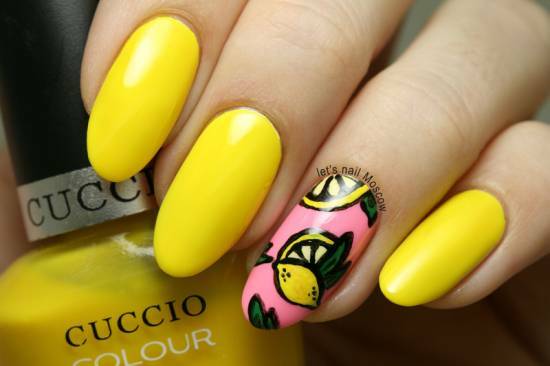 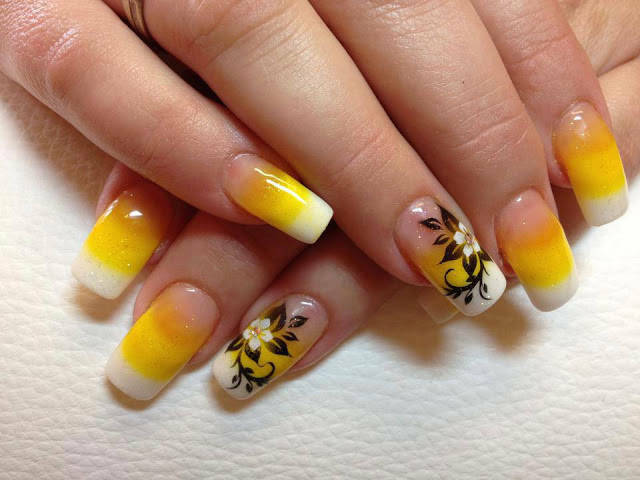 Below are some of the most lovely yellow nail art designs for you to take inspiration from!